Fr. 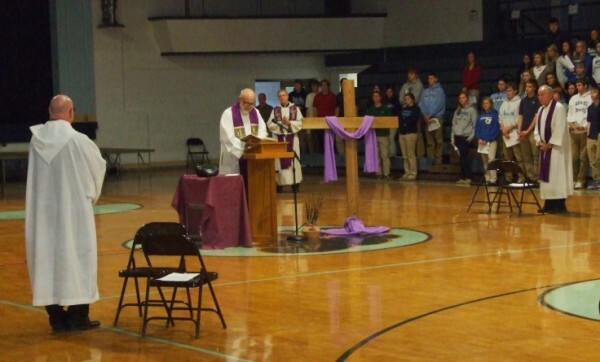 George Mauck reads a passage during the Lenten Reconciliation Service at Mater Dei. The juniors and seniors attended the service in the morning and the freshmen and sophomores in the afternoon. Students had time to pray, reflect, and go to confession.